Oscar-winner Anne Hathaway (Les Misérables) appears to be attached to star and produce the upcoming title Live Fast Die Hot, an adaptation of Jenny Mollen’s recently published memoir of the same name. Per Deadline, Warner Bros. has acquired the title with Chantal Nong overseeing it on the studio’s end, perhaps a part a of a recent motion at the studio to be on the lookout for female filmmakers and talent. Hathaway will produce along with Gail Berman (TV’s Buffy the Vampire Slayer) while Mollen will be an executive producer. Live Fast Die Hot, published last June from Doubleday, is a collection of essays that followed Mollen’s transformation from a party girl to responsible first-time parent. Mollen, an actress herself (Amateur Night, Crazy Stupid Love) who is married to actor Jason Biggs (American Pie), chronicled her former impulsive experiences in the book – like once inviting her drug-dealer over for Passover so he wouldn’t feel like she was using him for his product – as well as her maturation and impending motherhood. As of now, it doesn’t appear a director or screenwriter have signed on to the project and no production schedule has been announced. 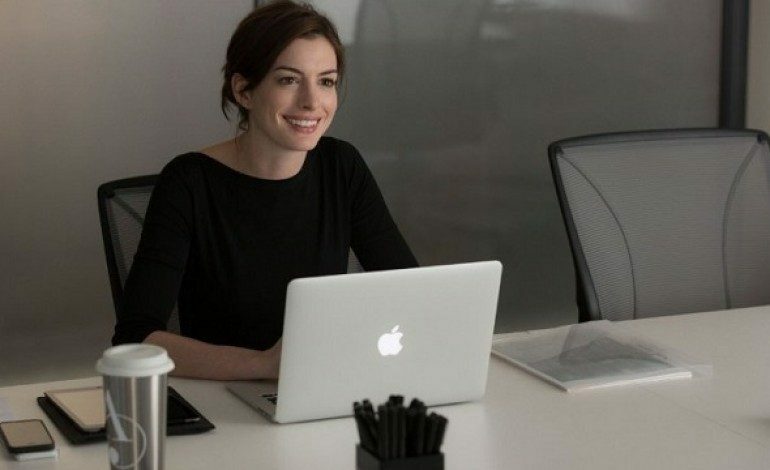 Hathaway, last seen in theaters in this summer’s Alice Through the Looking Glass and previously so in last fall’s hit The Intern, has a few enticing movies coming soon. Notably, is Colassal, a monster flick the Oscar winner will headline which also features Dan Stevens (The Guest), Jason Sudeikis (We’re the Millers) and Austin Stowell (Bridge of Spies); that film will premiere this month at the Toronto Film Festival. Hathaway is also attached to co-star in Gary Ross’ upcoming Ocean’s Eight (or Ocho), a girl-powered Ocean’s Eleven reboot featuring Cate Blanchett, Helena Bonham Carter, Sandra Bullock, Rihanna, Awkwafina, Sarah Paulson and Mindy Kaling. We will stay tuned to the latest on Live Fast Die Hot.